This is prewriting activity by Trina Dralus is a great way to launch your All About writing unit (Writing to Inform). 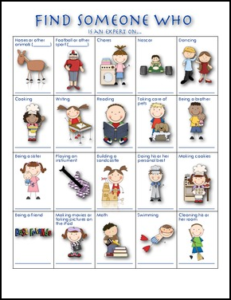 Or this activity can be used as a fun class builder to develop classroom community skills. If you like this activity check out the Writing to Inform unit!